Winner of Tour Operator of the Year Gold Award from the UK’s Association of Independent Tour Operators, Feb 2018. 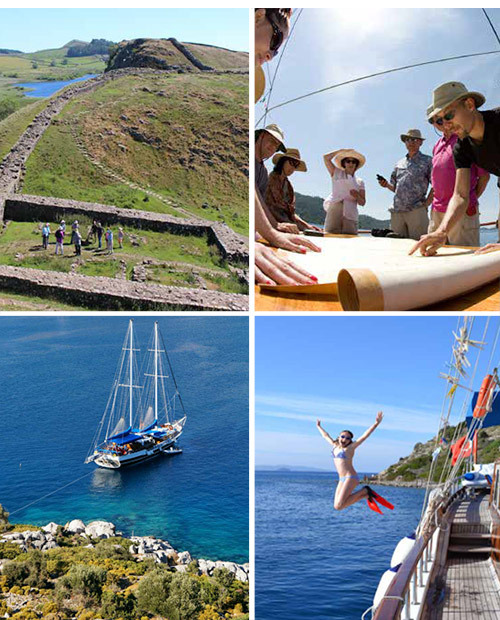 Peter Sommer Travels is a UK-based tour operator specialising in expert-led cultural land tours, gulet cruises and private charters. WIth an intimate knowledge of the countries explored - their geography, history, people and more – Peter Sommer Travels has created a rich and varied collection of escorted small-group tours with a difference. Since 1996, Peter Sommer Travels has been exploring the epic landscapes and incredible history of England, Wales, Ireland, Croatia, Greece, Italy and Turkey, from Walking Hadrian’s Wall to cruising the Amalfi coast and bay of Naples by gulet. Experience the glories of Roman fortresses, atmospheric abbeys and the most stunning castles. Sample the magnificent local produce in wonderful pubs and restaurants. Peter Sommer Travels offers a select mix of small-group escorted tours, all of which have been carefully researched and meticulously planned. “Fascinating, informative, amusing and memorable. An overall outstanding holiday” – Tony Graves, Australia. Peter Sommer Travels strives for the very best in personal service and assures you of individual care and attention. You will experience the advantage of travelling with expert tour leaders, archaeologists and historians. As well as being extremely knowledgeable, they are also great communicators, passionate enthusiasts and friendly hosts. Cruise in hand-crafted traditional Turkish gulets of the highest standard: stylish and characterful, with modern conveniences plus friendly and experienced crews. Alongside the scheduled trips, Peter Sommer Travels offers expert-led gulet charters for private groups, large or small. All tours are with small groups of like-minded people – typically between 10 and 14 on gulet tours and between 10 and 18 on land tours – travelling in an easy-going informal style. Tour prices include almost everything except airfares, and guests say they are great value for money. The old adage ‘you get what you pay for’ is especially true when it comes to holidays and adventure travel. Peter Sommer Travels does not levy surcharges for fluctuations in exchange rates or fuel prices or for any other reason. The price of the trip is the price you pay. These tours are holidays with a cultural purpose, bringing economic benefits to local people and with minimum impact on the environment in accordance with a Responsible Travel policy. Peter Sommer has been organising cultural tours since 1996 and aims to provide the very finest expert-led archaeological tours and gulet cruises. People who ordered Expert-Led Archaeological Tours, Cultural Tours & Gulet Cruises also ordered the free travel brochures below. Click on the images to find out more about these brochures.